Trails and Influences: Recent Explorations. A page which could well be subtitled More Fields In England (see Day #78/365 on Winstanley and Day #73/365 on A Field In England for previous celluloid meadow visitings). 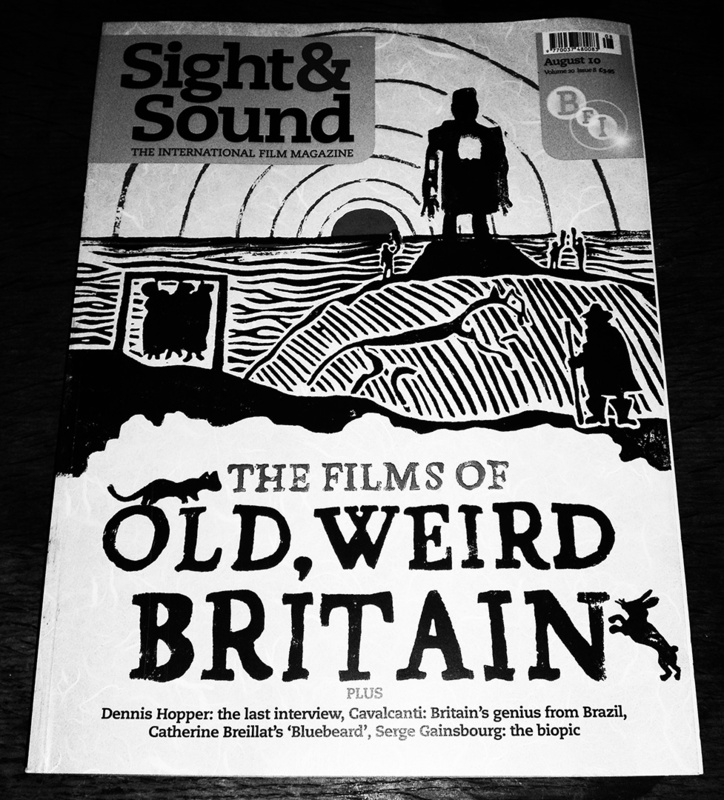 This was an issue of the BFI’s Sight and Sound magazine which was published in August 2010. The main feature The Pattern Under The Plough was written by Rob Young and could well be seen as a companion piece or a lost chapter for his Electric Eden book which journeys through the “imaginative time travel” impulses of folk and interconnected music and culture (see Day #4/365 and Day #40/365). 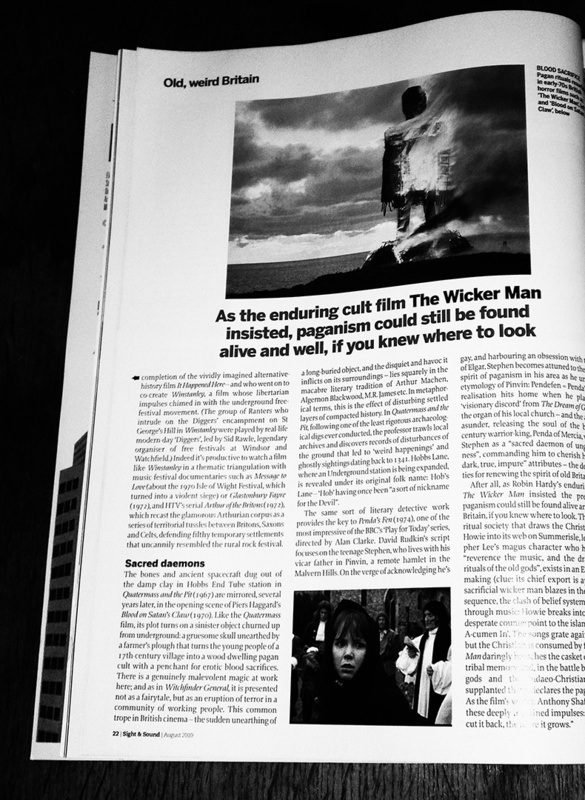 As the title to the article suggests, it delves beneath the topsoil of British cinema to find a rich seam of films which take the landscape, rural ways, folklore (of the traditional and reimagined varieties) or “the matter of Britain” as their starting point and which often wander off through a celluloid and cathode landscape that the article describes as one where an older weirder Albion peeps through the cracks or “the sense of the past lying just behind the present”. 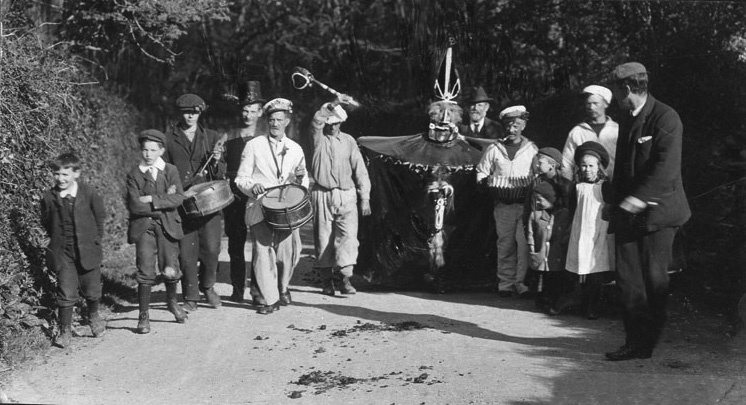 “Recent years have seen a ‘rural turn’ in British cultural studies. Artists have wandered into an interior exile and a re-engagement with the countryside – its secret histories, occult possibilities. Psychogeographers are drawn to its edgezones and leylines, fringe bibliophiles are rediscovering the dark glories of writers such as Alan Garner, John Wyndham and Nigel Kneale, while organizations such as English Heretic and Lancashire Folklore Tapes exult in mystical toponymies and wiccan deep probes. Well, that sums things up quite well I do believe. The cover to this issue was designed by Becca Thorne. You can find her here (rather fine and lovely illustration work, well worth a visit indeed). 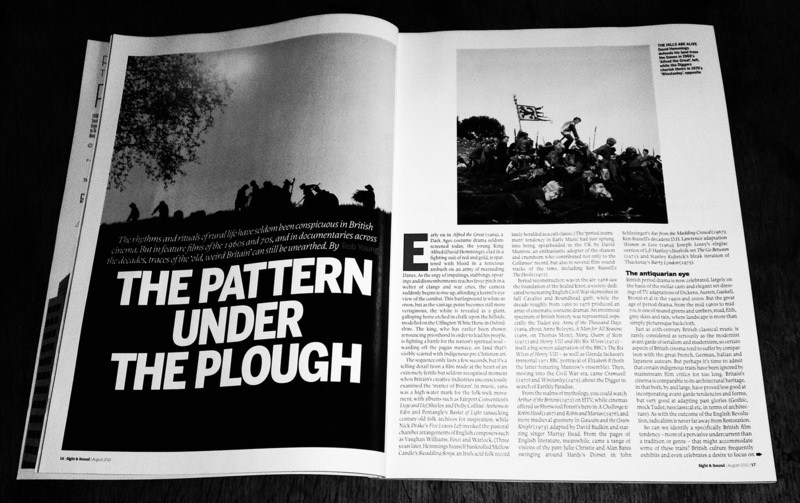 Details on this particular issue of Sight & Sound and backissues here. Akenfield here. Here’s A Health To The Barley Mow here. Will Fowler at the BFI here. And it can’t hurt to once again say Electric Eden here.